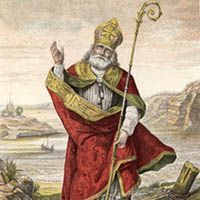 Dear St. Patrick, In your humility you called yourself a sinner, but you became a most successful missionary and prompted countless pagans to follow the Savior. Many of their descendants in turn spread the Good News in numerous foreign lands. Through your powerful intercession with God, obtain the missionaries we need to continue the work you began. Amen.